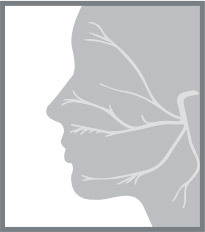 Welcome to the Facial Paralysis Institute Blog! 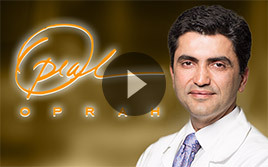 Here you’ll find out about any updates, new procedures and new findings in Bell’s Palsy and facial paralysis treatment, as well as gain an insight into the FPI’s surgery center, the staff that work here and what we aim to do for our patients. If you’re unfamiliar with any of the conditions we treat here, please take a look at the sections of our site, found at the top of each page. Our Harvard and UCLA trained surgeons and physicians specialize in Otolaryngology, Bell’s Palsy and facial paralysis treatment, as well as facial plastic and reconstructive surgery and nerve transplants. 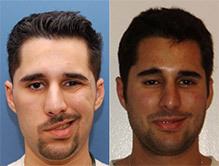 We’re starting off our blog today with information on Bell’s Palsy Surgical treatment, as it’s an important area for many of our patients. Firstly it’s important to remember that facial paralysis and Bell’s Palsy are not one and the same. Bell’s Palsy is a sub-condition of the more general term ‘facial paralysis’ and it is used to describe patients who experience facial paralysis but with no or little known cause. It’s thought that viral infection of the cranio-facial nerve may often be the cause of Bell’s Palsy, but there is no easy way to prove this. Secondly, we are keen to stress that Bell’s Palsy surgery treatment is not a first port of call for our trained and experienced physicians, as in many cases it is not needed. Treatments such as physiotherapy, along with anaesthetic nerve blocks, strong antiviral medications and courses of corticosteroids can be of great help to many sufferers of Bell’s Palsy, providing the condition is caught and treated early. Surgery is reserved for patients who have suffered heavy nerve damage, whereby other methods of treatment may be futile. To determine the extent of nerve damage, our physicians now use ENoG (Electro Neuronography) to investigate, and if 95% of nerve damage is found, then surgery may be considered in the first few weeks after the onset of Bell’s Palsy. The Bell’s Palsy surgical procedure is also known as ‘Facial Nerve Decompression’, where the nerve is opened and the protective sheath released. If the nerve has been compressed, or is swollen then the protective sheath will be compacting it and preventing adequate information to pass between the brain and the facial muscles. Allowing this nerve to decompress can give some control back to the patient in extreme cases, and where other forms of medical treatment have already been sought. Under no circumstances will a patient be offered surgery for Bell’s Palsy straight away – they will need to have various tests to rule out other causes, and their physician will need to try any other (less invasive) treatment that could possibly help. 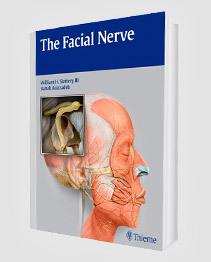 Often the full benefits of facial nerve decompression aren’t seen until 8 to 12 months following the surgery, so patients should be aware that they will not regain facial muscle tone or movement straight away. Hopefully we’ve gone some way to explaining more about the Bell’s Palsy condition, and the possible treatments that there are for it. Please subscribe to our RSS feed to keep up to date with any news in the field, and further blog entries on Bell’s Palsy and facial paralysis.